Optimum-scalability; utilizing the most efficient and effective perimeter or boundaries to ensure the best chance at success. Size of Communities - Neighborhood, Hamlet, Village, District, Town, City Metropolitan Region. 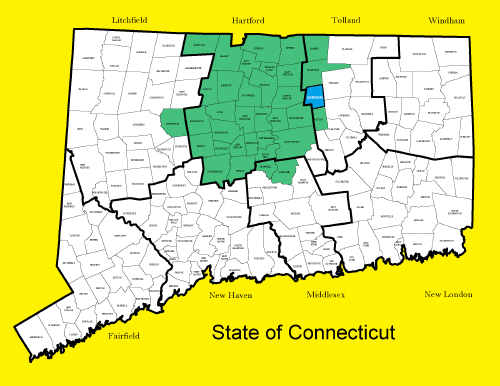 If there were no such thing as history, Greater Hartford probably would be one municipality. There might be villages or boroughs here and there, but there'd be one chief executive and one legislative body. That of course did not happen; the region evolved from fervently local Congregational parishes into a quiltwork of small cities and towns. For a long time these independent home-ruled municipalities weren't inclined to work together in many meaningful ways. But in recent years, that has begun to change. The ancient Puritan sense of localism has been tempered by the Yankee sense of thrift. The towns in Greater Hartford have begun to gain economies of scale by expanding the geographical base on which some governmental services are performed — in other words, to act more like a region. Purchase your Officially Licensed UConn National Championship Gear HERE! 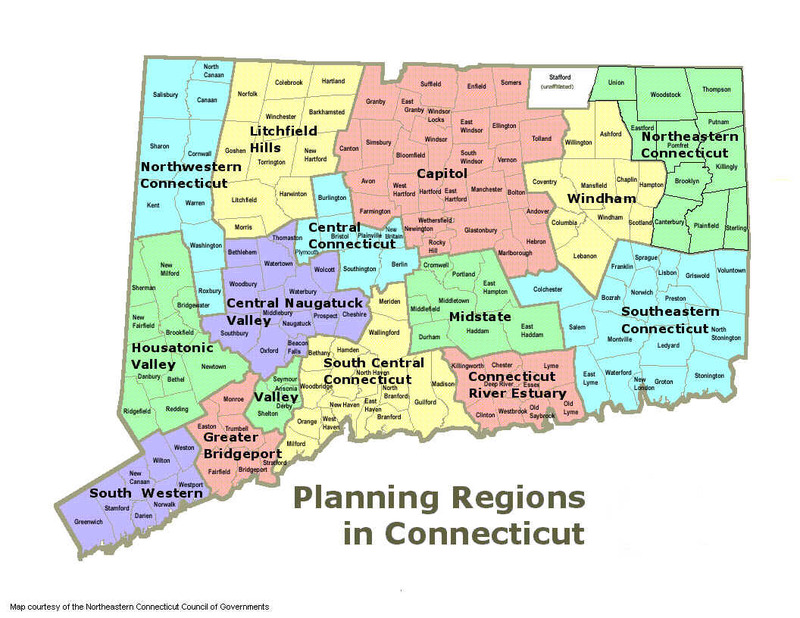 The opportunity for better regional coordination takes a step forward today as Connecticut continues to reduce the number of planning regions from 15 to nine, with a goal of eight. 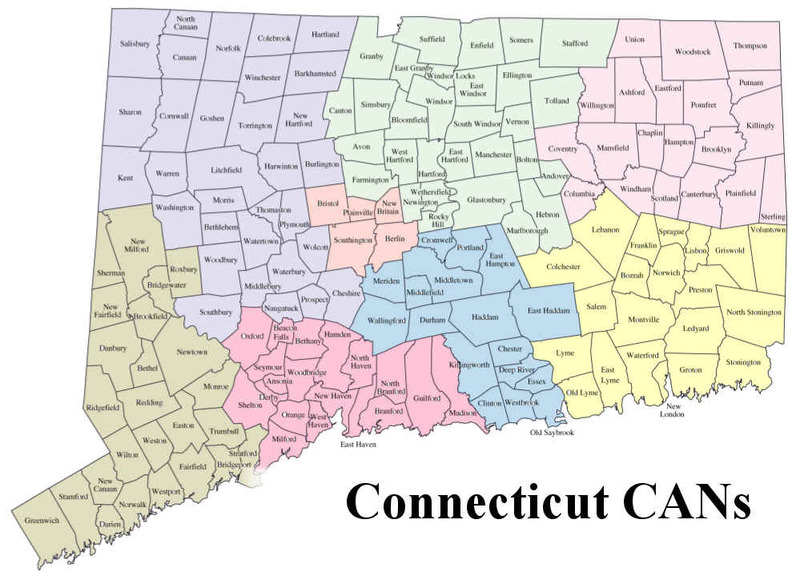 As of today, the Capitol Region Council of Governments will expand to 38 towns with nearly 1 million people, a not-insignificant region. The next steps will be key in how the region progresses in the 21st century. The region has always had a certain level of regional activity, such as the Metropolitan District Commission, the regional sewer and water authority. CRCOG has quietly made a lot of progress in sensibly increasing regional coordination over the past decade or more. Projects completed or in the works include regional police communication, online building permits, purchasing, regional animal shelters, electronic document management and connecting towns to the statewide broadband Nutmeg Network, among others. This is progress. Having every town perform every service is a luxury we can no longer afford. Plus, does anyone really care where their tax bill, garbage truck or rideshare van comes from, as long as it gets there? Why look for more regional efficiency? Please. Town budgets are strained. Last week CNBC ranked Connecticut 46th in its "Top States For Business" survey. In the subcategories, Connecticut does well in education (fifth) and quality of life (14th), but very poorly in cost of doing business (47th). Part of the reason we are a high-cost state for business is taxes, and the highest share of taxes paid by businesses in the state — just over a third — is property taxes. Regional efficiency could lower that burden, and thus increase competitiveness. Should we buck history and do away with towns? No, in a word. People like their towns, and they provide opportunities for civic involvement that larger cities often can't. 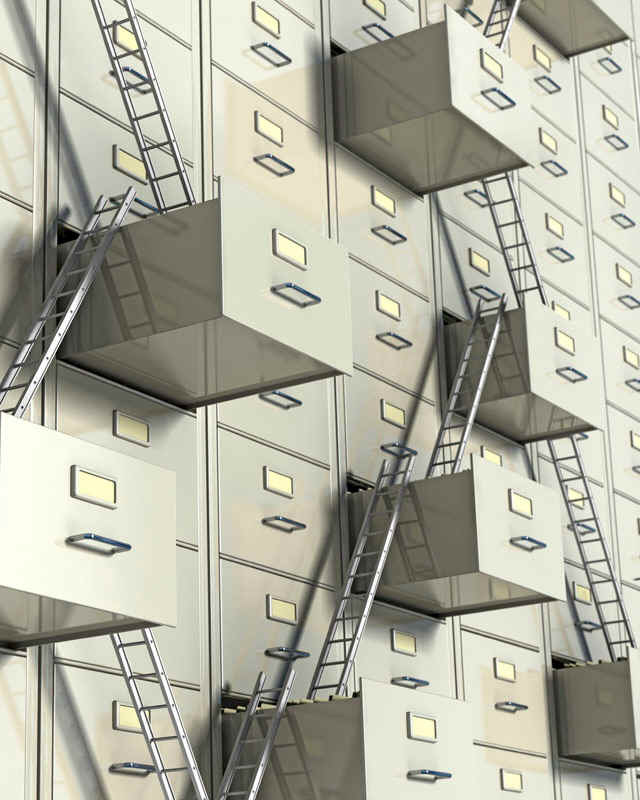 The key is to deliver services at the level where it is most efficient. The goal should be to keep what we like about towns but make the region work better. CRCOG should continue its push for shared or regional services, where it makes sense. Consider public safety. 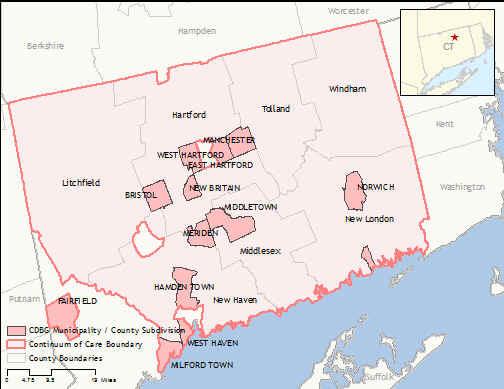 Greater Hartford's Homeland Security District has 41 towns with 56 separate fire departments. Does that make sense? Or transportation. Rail, bus and bike corridors rarely stop at town lines; working together could mean a better network. If the region had been planning the CTfastrak busway, it probably wouldn't have taken 16 years. Letting CRCOG manage regional transportation could free the state Department of Transportation to focus on the big stuff. Though it may be a stretch, CRCOG ought to open a discussion of regional property tax sharing, as is done in Minneapolis and a handful of other regions. The point there is to remove the incentive for towns to compete with each other for taxpaying businesses. Hartford shouldn't be competing with Windsor or Rocky Hill, Greater Hartford should be competing with Phoenix, Charlotte and other metro regions. We're not there yet; if we were, the proposed Hartford baseball stadium would be a regional project. Take the cities of Jacksonville, Fla.; Nashville, Tenn.; Suffolk Va.; Anchorage, Alaska; Indianapolis, Ind. ; Augusta, Ga; Louisville, Ky.; and Butte, Mont., and stitch them together. What do you get? If you combine the population and area of these cities, you have approximately the same population and area of Connecticut, except in eight rather than 169 municipalities. I suggest that eight municipalities would be vastly more efficient and less expensive than 169 towns. 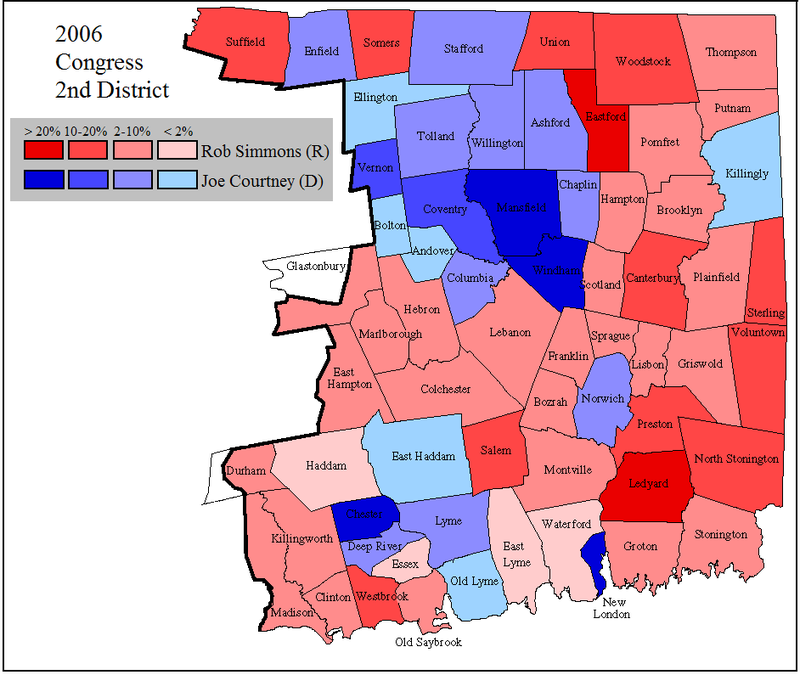 Connecticut never had a history of strong county government. In the late 1950s, at a time when the role of regional governments in other states was beginning to increase, Connecticut abolished the remaining limited functions of its eight county governments. Given the extraordinary changes in the economy since the 1950s, as well as the substantial increase in state and local services, it is time to revisit the wisdom of having 169 relatively small cities and towns vs. perhaps eight larger municipal entities. Some of the benefits of municipal consolidation are obvious. Fewer municipalities result in fewer department heads, such as police and fire chiefs, town clerks and assessors, educational superintendents, social services heads, etc. Eight municipalities would have more bargaining power to secure less costly contractor services and construction, as well as fewer and more uniform labor contracts. Municipal and educational facilities could be more optimally located to maximize resources and personnel. Detroit-like bankruptcies, or inadequate services in financially distressed areas, could be minimized. Worthwhile goals may be more achievable. For example, despite the magnificent effort to create magnet schools, true desegregation in our small urban centers remains largely illusory. This does not mean that larger has no downside. Accountability and personal contact might be lessened at the local level. However, modern telecommunications has made government more accessible. 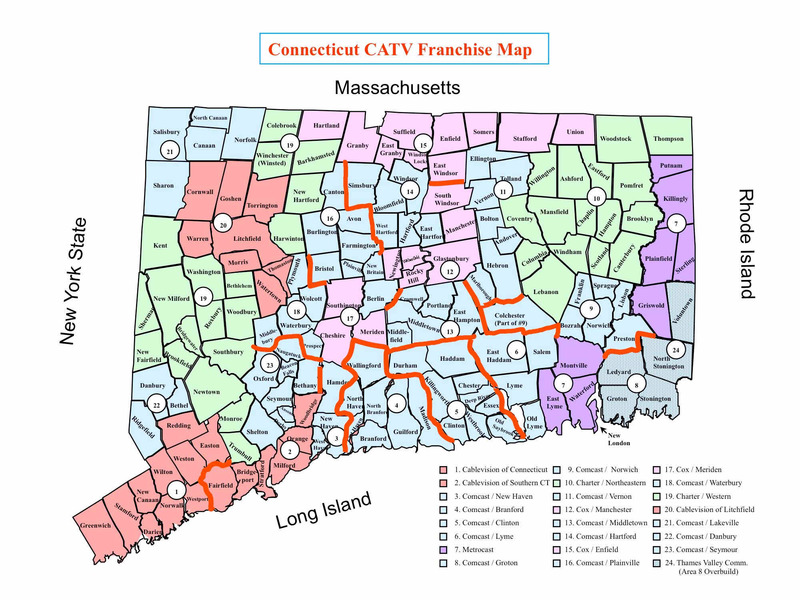 Connecticut also has hundreds, if not thousands, of villages, boroughs and neighborhoods that have retained their identity despite having little or no governmental authority, and there is no reason to believe that these local interests will not continue. We can keep what we like about our towns — the civic and community groups, events and activities — and give up the heavy expense. Smaller government units can be better justified when they have the resources that can make them self-sustaining. When my grandparents came to this country from Russia, U.S. factories, affordable housing and mass transportation were often located in relatively small geographical areas, such as Hartford or New Haven, so it made sense to have a local government for these places. But the world has changed, dramatically. Most factories are gone, many people have moved to the suburbs, commuting patterns crisscross the state's metropolitan regions. Though towns are seamlessly connected to one another, they have different tax rates and compete with one another for development. It wastes a lot of time, opportunity and energy when our metro regions are in competition with other metros around the world. There's a practical way to evolve to larger, more efficient municipal governments in Connecticut. The state's 15 regional planning areas are being consolidated to eight — that number again — and each will be a council of governments, a deliberative body composed of the town's chief elected officials. The largest of these, the Capitol Region Council of Governments, has already begun providing some services on a regional basis. Continue the process, so that the region becomes the city and the council of governments becomes in effect the new city council, with at least one representative from each of the geographical areas of the former towns, adjusted slightly to meet the constitutional one-person-one-vote standard. The new municipalities could equalize the property tax rate over a 10-year period, taking that factor out of the equation for business location, hopefully resulting in businesses locating where they can benefit the entire region. This change might require an amendment to our state constitution. Given the magnitude of these changes, the amendment process with a statewide referendum would be appropriate. Connecticut Yankees can certainly be trusted with the last word in determining what is in their own best interests. There is nothing so sacrosanct about the form of local governments that they should be exempt from a determination of whether they most efficiently meet the needs of our citizens. Barry Zitser of Bloomfield is a lawyer and former state consumer counsel, and sometimes teaches public policy and public health courses. Federal Plan to end Homelessness is "Opening Doors"
Client-centric focus: is at the core of the Coordinated Access. The goal of the system is for community resources to come together around the client. 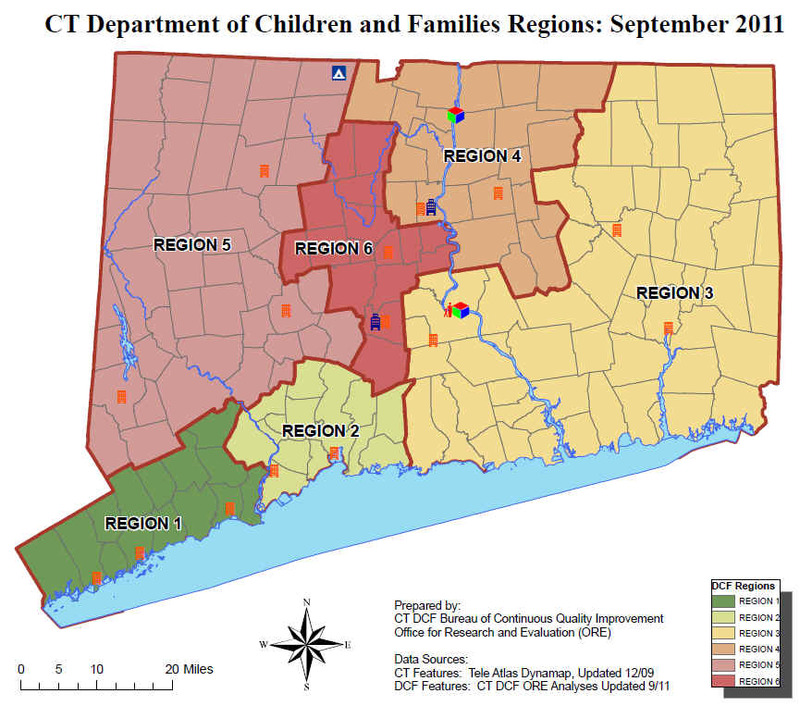 Coordinated Access Networks (CANs): in order to help providers to come together around clients consistent with the geographic areas in which clients tend to travel, the CT Department of Housing (DOH) and CCEH developed a map of eight Coordinated Access Networks (CANs) – map below. CAN Collaboration: providers within CANs will work together from the front door of shelter through housing resources to help each client exit homelessness. Perhaps this is why they call it bureaucracy. Even when the goal is more family-friendly, responsive and efficient operations, it requires the following: a presentation to the Governor’s Cabinet on Nonprofit Health and Human Services from the state legislature’s Bi-Partisan Municipal Opportunities & Regional Efficiencies (M.O.R.E.) Regional Entities Sub-Committee Human Services Working Group. It occurred, without fanfare, at the State Capitol on May 6, 2013. The subject: a proposal now being considered by the state legislature to do what many in the room described as implementing a provision of law that generally dates back to the last century, circa 1992, that has been sitting on a shelf, as State Rep. Tim Bowles described it, waiting for just the right convergence of administration and legislature to take another crack at insisting on implementation. Bowles viewed its original creation from the vantage point of the Office of Policy and Management, where he worked during the Weicker administration. nonprofit organizations for necessary services, requiring a nightmare of navigation through agency after agency. 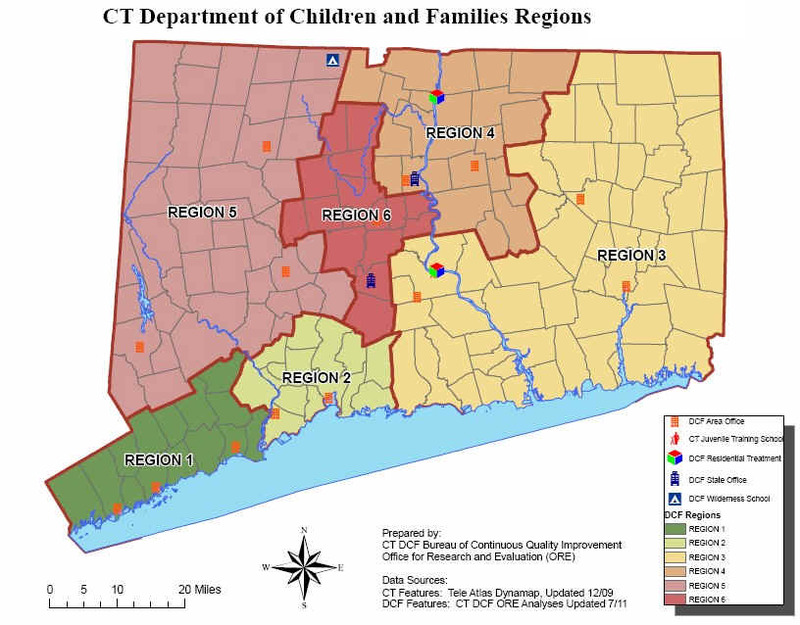 The state agencies involved: the Department of Social Services, Department of Developmental Services, Department of Children and Families, Department of Mental Health and Addition Services would adjust their geographic boundaries to create six service delivery areas that align with the six Regional Education Service Centers boundaries – thus bringing human services and education into geographic alignment, no easy task according to those gathered to discuss the proposal. As was noted during the meeting, the bill omits the Department of Public Health from the list of participating agencies. It also lays out a relatively aggressive time line for implementation – especially weighed against two decades of delay – including a plan to be submitted by 2014 that would include consolidation of office space, relocation of staff, implementation of one-stop services for referrals to services. The one-stop centers would be required at half of agency office locations by December 2015, and the remainder by the following year. All of which makes the stated expectation, in response to questioning by dubious Cabinet members, that the plan implementation would move slowly – taking as long as a decade – even more curious, and seemingly inconsistent with the language of the bill. The Office of Fiscal Analysis could not provide a fiscal impact for the planned service coordination, which also includes common information technology development. The Office of Legislative Research report underscores the imperative for better coordination and collaboration by describing the status quo: DCF has six regions covering the state. DDA and DSS each have three regions covering the northern, southern and western parts of the state, but DSS maintains either a large regional office or a sub-office within the larger regions. 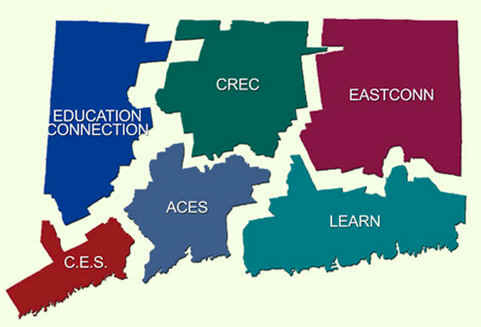 DMHAS has five service regions. 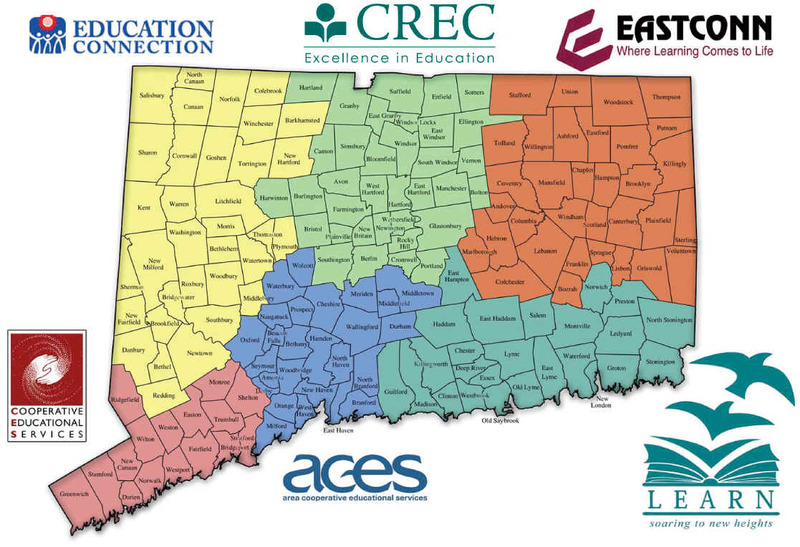 The Regional Educational Services Centers (RESC), whose boundaries would be mirrored by the other agencies, were created more than 30 years ago to “furnish programs and services” to Connecticut’s public school districts. RESC works with DCF, DMHAS, DMR, DPH, DSS, the Department of Corrections, Department of Education and Board of Education & Services for the Blind on statewide issues. Roberta Cook, President/CEO, BHcare, Inc.
Marcie Dimenstein, LCSW, Senior Director, Behavioral Health Connection, Inc.
Anne L. Ruwet, CEO, CCARC, Inc.
Not sure which RESC your town falls under? Check out the RESC map here. When scholar and author Xiangming Chen came to Trinity College several years ago to found the school's Center for Urban and Global Studies, he discovered that not much had been written about Hartford and other mid-sized cities in New England. He and graduate student Nick Bacon recruited a dozen writers, most but not all academics (I contributed a chapter) and produced a book about Hartford, referencing some other of New England's second-tier cities. "Confronting Urban Legacy — Rediscovering Hartford and New England's Forgotten Cities" (Lexington Books) is just out. If you would like to become better versed about the place where you live, this would be a place to start. The book covers commerce, education, immigration and sprawl (bad! ), among other things. I'll focus on two recurring themes in the city's rise and fall: its manufacturing base and its size. 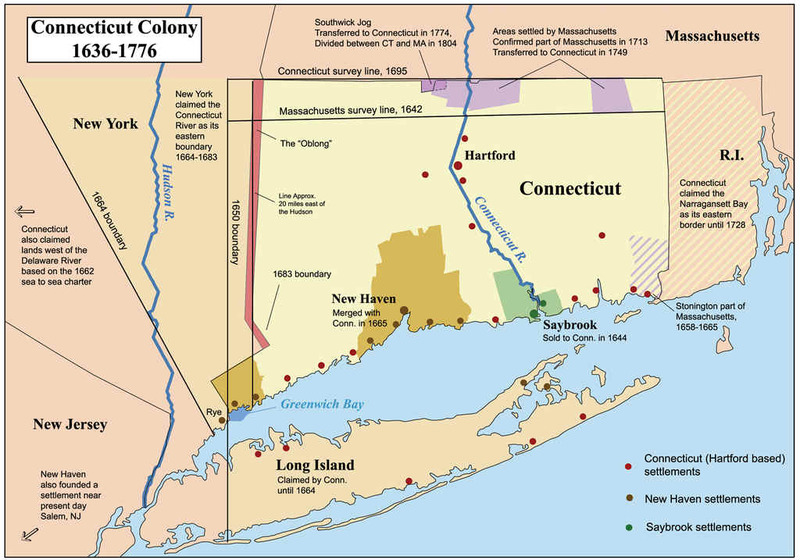 Hartford was the first major inland settlement in the colonial U.S. and comprised about 87 square miles including what today are the towns of West Hartford, East Hartford and Manchester. Trinity historian Andrew Walsh notes — in a really first-rate chapter — that "just about every significant event or trend in the nation's history has left its mark here." Not least among them was the U.S. Industrial Revolution. Hartford became an industrial powerhouse. Its factories, along with its banks and insurance companies, made it one of richest cities on the continent in the late 19th and early 20th centuries. The city we see today, minus the unfortunate highway incursions, "was largely built from 1870 to 1930 as a manufacturing city where factory workers lived in tight-packed neighborhoods within walking distance of their jobs." In 1950, there were still 30,000 manufacturing jobs within the city limits. But the rapid erosion of manufacturing jobs over the next 30 years would spell doom. As the factories emptied, the surrounding neighborhoods "slipped further and further into poverty," a problem the city had to deal with largely by itself. And yet, white-collar jobs increased, though most of those workers were moving out of the city. So in the late 20th century, Walsh writes, Hartford presented a double face to the world — an increasingly poor core city in a fundamentally prosperous metropolitan region." It's hard to know what might have prevented this; typewriter factories, once a Hartford staple, were going to close whether they were in Hartford, Boston or San Francisco. For all of its remarkable achievement in the last two centuries, Hartford missed a step that might have made a huge difference — it never had the power to annex adjoining land. The colonial city of 87 square miles became a city of 18 square miles as surrounding communities broke off and incorporated as separate towns. In 1950, as Jason Rojas and Lyle Wray observe, Hartford was comparable in size to Nashville, Tenn., (22 square miles) and Raleigh, N.C., (11 square miles). By 2000, Nashville was 69 square miles and Raleigh had grown to 473 square miles. 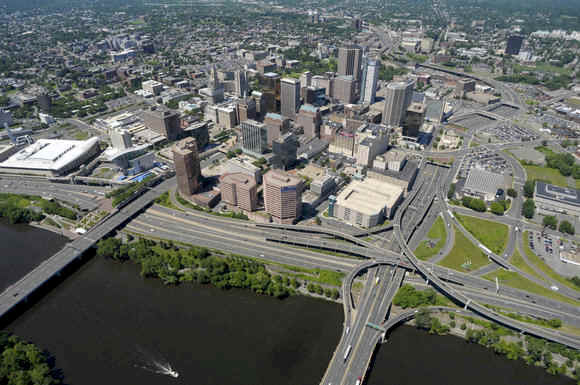 Hartford's boundaries hadn't budged and now define the smallest core city in any major metropolitan area in the country, Bacon reports. The New York architect and planner John Carrere, who authored Hartford's 1912 city plan, assumed Hartford would expand to include the new growth outside its boundaries. A golden opportunity presented itself when the Metropolitan District Commission was created in 1929. The legislature granted the MDC a charter enabling it to perform planning and zoning functions as well as providing water and sewer services. But the planning part never took hold because of opposition from suburban towns. 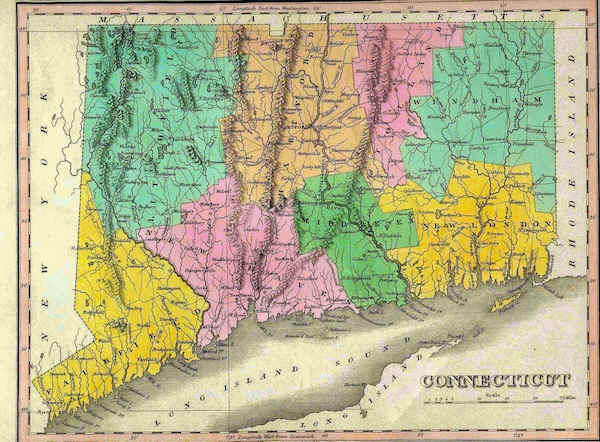 No one counted on the intense localism, perhaps reflective of the region's Puritan founders, in Connecticut towns. So Greater Hartford, Rojas and Wray conclude, is a "combination of its core city's extreme smallness and the anarchic subdivision of the rest of the of the region into an absurdly large number of tiny, but politically separate, municipalities." Many urban problems are inherently regional. Greater Hartford is not structured to deal with much of anything beyond water and sewer on a regional basis. That's a problem. Rojas and Wray offer a bold yet sensible solution, which I will discuss in a future column. For information on accessing Department of Social Services programs in your area, please follow the links below to your regional office. 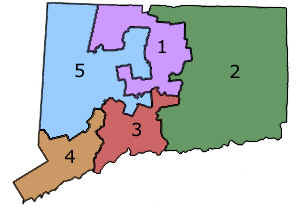 Andover, Avon, Ashford, Berlin, Bloomfield, Bolton, Bristol, Brooklyn, Burlington, Canterbury, Canton, Chaplin, Columbia, Coventry, Eastford, East Granby, East Hartford, East Windsor, Ellington, Enfield, Farmington, Glastonbury, Granby, Hampton, Hartford, Hebron, Killingly, Manchester, Mansfield, Marlborough, New Britain, Newington, Plainfield, Plainville, Plymouth, Pomfret, Putnam, Rocky Hill, Scotland, Simsbury, Somers, Southington, South Windsor, Stafford, Sterling, Suffield, Thompson, Tolland, West Hartford, Union, Vernon, Wethersfield, Willington, Windham, Windsor, Windsor Locks and Woodstock. Barkhamsted, Beacon Falls, Bethel, Bethlehem, Bridgeport, Bridgewater, Brookfield, Canaan, Cheshire, Colebrook, Cornwall, Danbury, Easton, Fairfield, Goshen, Hartland, Harwinton, Kent, Litchfield, Middlebury, Monroe, Morris, Naugatuck, New Fairfield, New Hartford, New Milford, Newtown, Norfolk, Norwalk, North Canaan, Oxford, Prospect, Redding, Ridgefield, Roxbury, Salisbury, Sharon, Sherman, Southbury, Stratford, Thomaston, Torrington, Trumbull, Warren, Washington, Waterbury, Watertown, Weston, Westport, Winchester, Wolcott and Woodbury. A Regional Substance Abuse Action Council is a legislatively created public-private partnership comprised of community leaders. Its purpose is to establish and implement a strategic plan to develop and coordinate needed substance abuse prevention and mental health promotion services in the subregion. The members of the Regional Action Council serve as volunteers assisted by professional staff. Members include representatives of major community leadership constituencies: chief elected officials, chiefs of police, superintendents of schools, major business and professional persons, legislators, major substance abuse service providers, funders, minority communities, religious organizations and the media. DMHAS provides funding annually for core administrative support and coordination of prevention initiatives. The Regional Action Council generate additional resources to support services needed in the subregion. To conduct a data driven needs and resource assessment for the subregion to identify gaps in services along the continuum of care (including community awareness, education, primary prevention, intervention, treatment and aftercare). To develop a biannual report that includes epidemiologic profiles of substance use/abuse, problem gambling, and suicide, subregional priorities, and recommendations for changes to the community environment and programs that fill identified gaps and will reduce substance abuse by changing the community environment and to submit such report to DMHAS. To conduct fund-raising activities to fill gaps identified in the RACs report. To conduct activities to implement the initiatives identified in the report. To conduct activities to promote visibility for the Regional Action Council (but not to provide direct services). To conduct at least four meetings per year. To maintain RAC membership as described under Section 17a-671 (b) of the Connecticut General Statutes. Support DMHAS planning and development of community prevention services utilizing school survey results, other local needs assessment data, science-based technologies. Support, develop and implement strategies outlined in the Robert Wood Johnson (RWJ) alcohol and tobacco initiatives using 25% of DMHAS funding to support alcohol and 25% on tobacco prevention activities. Serve as a esource Center to local constituents. Participate in Learning Communities and other forums as requested by DMHAS. Use the contact information below to find the Business Consultants who serve your area. AIM is a special needs informational support group which helps families navigate the road ahead. They welcome all special needs families and specialize in ASD (Autism Spectrum Disorders). AIM’s mission is to support parents in helping create positive outcomes for families by getting involved. They connect with other support groups statewide so that they can utilize a more cohesive support network. They facilitate a resource library and hold all of their meetings at Tri Town Family Services Bureau in Deep River, Connecticut. Meetings are held at 6:30 p.m. on the third Thursday of the month. Please contact Joy Orr for any additional information at 860-212-0564 or joyorr@comcast.net. All Abilities Koffee Klatch is held at Victorian House located at 159 Norwich Road in Plainfield. The group meets the third Friday of the month at 9:30 a.m. For more information contact Heather Graveline at 860-546-9289 or graavelineh@yahoo.com or contact Renee Toper at 860-230-0196 or renee9901@yahoo.com. The Apraxia Resource Center of Connecticut is nonprofit organization and support network open to all parents and caregivers of children with apraxia of speech. They support families from all regions in Connecticut and have several support group meeting locations in northeast Connecticut, the Hartford area, and Fairfield &New Haven counties. For a complete schedule of meetings and more information about the organization, visit www.apraxiact.com at or contact Michele Wasikowski at 203-521-6112 or by email at michelewaz@gmail.com. The Aspergers/PDD-NOS Support Group is facilitated by the CT Family Support Network Northeast. The group is for parents of children with Aspergers Syndrome or Pervasive Developmental Disorder – Not Otherwise Specified (PDD-NOS). Meetings are held the fourth or fifth Monday of every month at Killingly Public Library located at 25 Wescott Road in Danielson, Connecticut as well as various other northeastern Connecticut locations. For information on specific meeting topics, or to be added to the group’s listserv, please contact Northeast Regional Coordinator, Peter Szruba at 860-481-9663 or pszruba@ctfsn.org. Parents with children on the Autism Spectrum in Fairfield County, CT. Join us for a great evening out and meet other parents with children on the Autism Spectrum (Autism, PDD-NOS, Aspergers, Atypical Autism). Parents are encouraged to share stories, learn about area resources and events, discover different interventions and learn to advocate for their child from from other experienced parents. The group meets fat 7:30 p.m. on the last Tuesday of the month at John’s Best Restaurant located at 1 Danbury Road in Wilton, Connnecticut. For more information, contact Patti Sylvia at 203-761-0248, or email pattisylvia@aol.com. Autism Services and Resources Connecticut (ASRC) facilitates support groups for parents of children on the autism spectrum and families members throughout the state. For more information, visit www.ct-asrc.org, email ct-asrc@sbcglobal.net or call 203-265-7717. The Bloomfield Support Group is a support group for parents of children of all ages and disabilities. The group is co-sponsored by the JP Vincent Family Resource Center in Bloomfield, the African & Caribbean American Parents of Children with Disabilities (AFCAMP) and Family Advocacy Organization for Children’s Mental Health (FAVOR). Meetings are held during the school year on the fourth Monday of each month from 6:30 p.m. to 8:30 p.m. at Laurel Elementary School in Bloomfield, Connecticut. All are welcome. 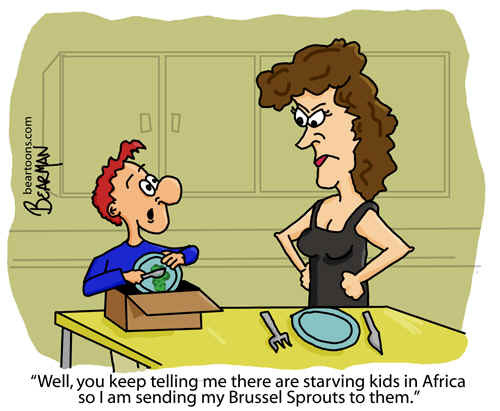 Dinner and childcare are provided. For more information please contact AFCAMP at 860-297-4358 or JP Vincent Family Resource Center at 860-769-5518 or 860-286-2640 x112. The Brain Injury Support Group is a support group for people who have experienced brain injury, their families and friends. The purpose of this group is to provide support and enlightenment for people whose lives have been affected by the hidden disability of brain injury. The group meets 6 p.m. to 7:30 p.m. on the fourth Monday of every month in conference room #1 at Lawrence & Memorial Hospital 365 Montauk Avenue in New London, Connecticut. The first meeting of the year will take place from 4:30 p.m. to 6 p.m. on September 28th. For more information please contact Tammy Rowan at 860-271-4204. The Center for Growth and Development is starting a new parent support group on Wednesday, November 6, 2013. Meetings will be held on Wednesday mornings at the Center located at 84 Danbury Road in Wilton, Connecticut. Lorraine Morley, L.M.S.W., Family Coordinator at the Center, will facilitate the group. The group will share resources and stories with a sense of warmth and humor. For more information, contact Lorraine at 203-563-9360 or 203-856-6191. Child and Adolescent Network Support Group is a support and information group for parents, families and friends of children, youth and adults with mental health challenges. 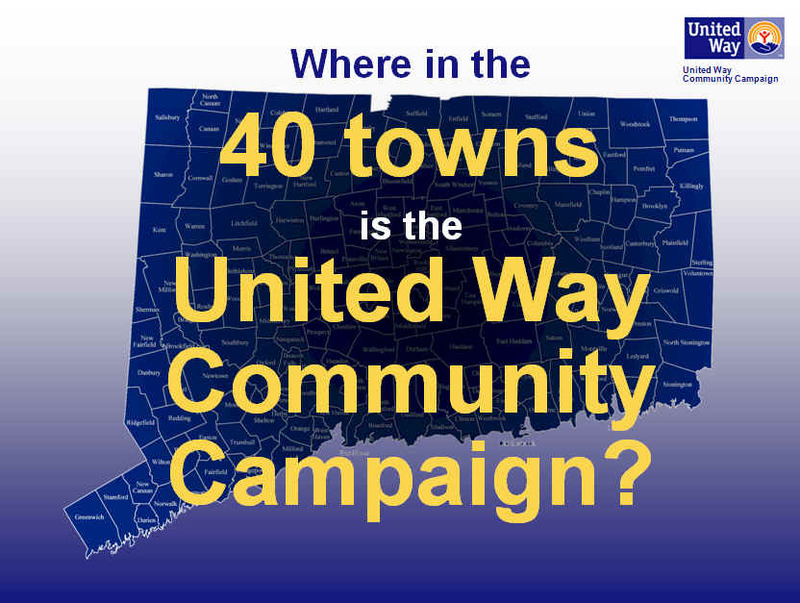 Meetings are held the first Wednesday of the month from 6:30 p.m. to 8 p.m. at United Services located at 1007 North Main Street in Dayville, Connecticut. For more information, contact Lorna at 860-573-0689 or grivois620@comcast.net. Children’s Therapy Services Parent Networking and Support Group is for parents of children with any disability or special health need. Meetings are held the first Wednesday of the month from 6 p.m. to 7:30 p.m. at Children’s Therapy Services located at 1389 West Main Street, Suite 225 in Waterbury, Connecticut. Childcare is available with advanced request. For more information or to RSVP, contact Cindy Jackson at 203-271-3288 or jackcts01@yahoo.com or Tracey Blackman at tracey89@charter.net. The CT Family Support Network Coffee Klatch Parent’s Group is open to parents who have children with disabilities and special health care needs. The group meets on the second Thursday of every month at 9:30 a.m. at the Victorian House located at 159 Norwich Road (Route 12) in Plainfield, Connecticut. For more information, contact Peter Szruba at 860-481-9663 or pszruba@ctfsn.org. The Epilepsy Foundation of CT warmly invites parents of children with epilepsy to attend this support group. The group meets at the Epilepsy Foundation of CT office building on the 2nd floor located at 386 Main Street in Middletown. Meetings are held from 7 p.m. to 8:30 p.m.on the forth Wednesday of the month. This group is exclusive to parents who have children with autism. For more information please contact Megan at the Epilepsy Foundation of CT at 800-899-3745 or email efct@sbcglobal.net. The Farmington Valley Aspergers Network (FAVAN) is a not-for-profit, parent-run support group for parents, caregivers and families of children on the “mild” end of autism spectrum. Their mission and goal is to provide education about current resources available to parents, emotional support and a safe environment for social networking with other families in the same situation. For more information about monthly meetings please contact Shawn and Lee McFadden at 860-589-0097, by email at info@favan.org or visit them on the web at www.favan.org. The mission of the Food Allergy Support Team of North Central CT (FAST) is to build a strong, collaborative support team for parents of children who live with food allergies. FAST meets monthly for mutual support and practical advice, occasionally hosts guest speakers, advocates for children and educates the local community. Meetings are held in Somers on the first Sunday of the month. For more information, please contact FAST at www.fastct.org, 860-265-3122 or support@fastct.org. This parent support group is open to foster, adoptive and kinship families and their children. Parents are encouraged to come together to discuss common concerns and build a network of support. 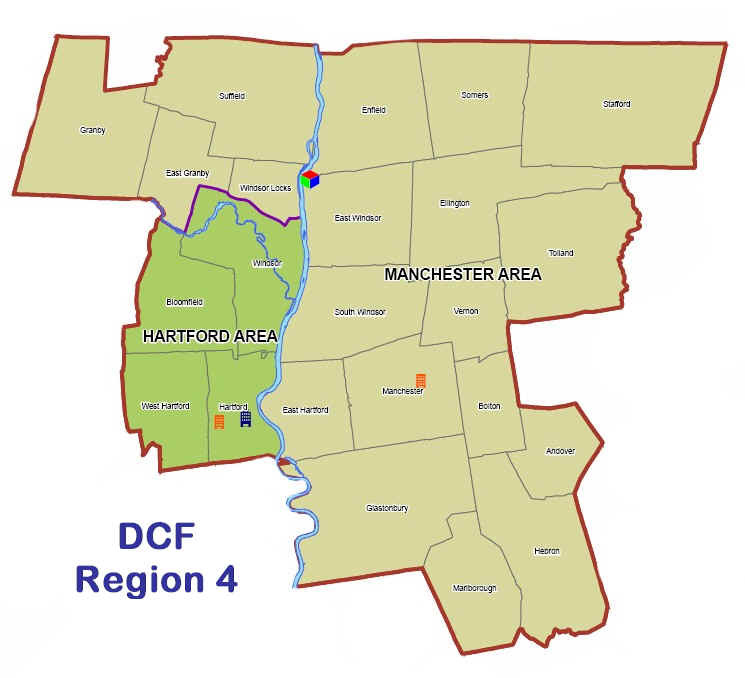 The group meets the fourth Tuesday of each month from 9:30 a.m. to 11:30 a.m. at Fair Oaks Community Center located at 836 Old Colchester Road in Oakdale, Connecticut. The group is sponsored by Hearts, Hands and Homes Community Collaborative. For more information or to RSVP, contact Alana at alana@heartshandsandhomes.org. This parent support group is open to foster, adoptive and kinship families and their children. Parents are encouraged to come together to discuss common concerns and build a network of support. The group meets the first Wednesday of each month from 7 p.m. to 9 p.m. at Groton City Fire Department located at 416 Benham Road in Groton, Connecticut. The group is sponsored by Hearts, Hands and Homes Community Collaborative. For more information or to RSVP, contact Alana at alana@heartshandsandhomes.org. This parent support group is open to foster, adoptive and kinship families and their children. Parents are encouraged to come together to discuss common concerns and build a network of support. The group meets the third Wednesday of each month from 6:30 p.m. to 8:30 p.m. at Waterford Country School located at 2 Clinic Drive in Norwich, Connecticut. The group is sponsored by Hearts, Hands and Homes Community Collaborative. For more information or to RSVP, contact Alana at alana@heartshandsandhomes.org. This parent support group is open to foster, adoptive and kinship families and their children. Parents are encouraged to come together to discuss common concerns and build a network of support. The group meets the third Tuesday of each month from 9:30 a.m. to 11:30 a.m. at Community Health Resources located at 1491 West Main Street in Willimantic, Connecticut. The group is sponsored by Hearts, Hands and Homes Community Collaborative. For more information or to RSVP, contact Alana at alana@heartshandsandhomes.org. HiFADD is run by The Family Resource and Development Center, LLC in West Hartford, Connecticut. The group meets the first Wednesday of each month from 7 p.m. to 8:30 p.m. at the Family Resource and Development Center located at 41 N. Main Street, Suite 303, in West Hartford. The group is for parents, other adult family members, as well as caregivers who are in need of support due to the unique demands of helping to raise children and/or adolescents with high functioning autism or other developmental delays that affect their social and emotional functioning and well being. Groups consist of open discussion, as well as occasional guest speakers to discuss specific topics and address questions about a variety of issues. Meetings are facilitated by Daniel Weiner, MA LPC. Membership is available but not required to attend meetings. For more information, contact Dan Weiner at 860-677-0028 or weinertherapy@gmail.com. Northwestern Connecticut Community College (NCCC), in Winsted, Connecticut, offers an evening support group for parents and caregivers of children with autism. The group is facilitated by Sharon Cable (parent) and Dr. Robert Beck (NCCC faculty member and director of the Behavioral Studies program in the college). The group meets at 6:30 p.m. on the second Thursday of every month. Participation is free and is open to anyone who cares for children with autism. For more information, please contact Sharon Cable at 860-693-9128 or Robert Beck at 860-738-6386 or visit www.autismsupportct.org. NAMI CAN (National Alliance on Mental Illness Child and Adolescent Network) Support Group, sponsored by NAMI Waterbury, meets on the third Wednesday of the month from 7 p.m. to 8:30 p.m. at 969 West Main Street, Lower Level in Waterbury, Connecticut. For more information please call Kim at 203-758-5844. The NAMI (National Alliance on Mental Illness Child and Adolescent Network) Valley Shore Affiliate support group for families of individuals with psychiatric disabilities meets from 7 p.m. to 8:30 p.m. on the fourth Monday of every month (except July and December) in the Church Hall at St. Agnes Church in Niantic. For more information please contact Joan Lazar at 860-739-8822. The National Spinal Cord Injury Association provides a variety of support groups to people suffering from spinal cord injuries throughout the state of Connecticut. Their support groups allow individuals the opportunity to discuss a variety of topics with other people who also have a spinal cord injury. Support group meetings are held at many area hospitals and independent living centers throughout the state. Support groups are organized and run by NSCIA CT Chapter member volunteers. For support group locations, dates and times please visit www.sciact.org/services.asp#support. The Next Steps Parent Support Group is for parents of children with special needs in the Southington area. The group meets the fourth Tuesday of every month at 6 p.m. at The Summit in Plantsville. The Bristol/Farmington Collaborative sponsors this support group. For more information about the Collaborative visit www.gbfvcc.org. For more information about the support group, contact Tina Frappier at tfrap128@hotmail.com or Lori at stevelori@cox.net. The North Star Support Group is a support and resource organization for families who have children with disabilities. Meetings are held on the fourth Wednesday of every month from 7 p.m. until 9 p.m. at the First Congregational Church of Derby. Please call ahead to verify meeting times and locations. For more information call Cathy Adamczyk at 203-751-2417 or Natalie DiDente at 203-305-2468. This group focuses on the well-being of parents and caregivers of children with autism. The group is based on the principle that being the parent of a child on the autism spectrum requires new perspectives, and that in order to provide the best for your child, you must provide the best for yourself. The group is interactive and focuses on teaching parents the tools and experiences that refresh, honor and uplift them in a positive and nourishing environment. Offered by Hope 4 Autism, Inc in partnership with Wild Heart Coaching, LLC the group meets on the second Tuesday of every month from 6:30 p/m. to 8 p.m. in the Bank of America Room in the Hartford Public Library located at 500 Main Street in Downtown Hartford. Registration is preferred and can be done online at: www.hope4autism.org/ wellness_center/not_so_ typical_autism_support_group. PEAKS: Parents of East Hampton Area with Kids with Special Needs is a group that provides parents with an opportunity to share information and make connections. For more information visit the PEAKS Facebook page: www.facebook.com/groups/PEAKS. Anyone raising a child with special needs is invited to join this support group. The Plainfield Support Group meets the second Tuesday of every month (except July and August) at 6:30 p.m. at the Lighthouse Church on Route 14A in Plainfield, Connecticut. For more information, contact Peter at 860-564-6400. The Ryan Woods Autism Foundation Parent Support Group meets the third Saturday of every month from 10 a.m. to noon at 100 Riverview Center, Suite 102 in Middletown, Connecticut. Participation is free. Parents are encouraged to come share their experiences, get support and listen and learn about autism and autism spectrum disorder. Seating is limited. RSVP to rwaf@comcast.net. For more information, contact Brenda Wilson at rwaf@comcast.net or 860-346-8777. The group does not meet in July or August. The Sensory Processing Disorder Parent Connections Support Group is a network that provides support, information, and understanding to anyone who lives with a child who has SPD or wants to learn more about these developmental disorders. The group meets on the fourth Tuesday of each month from 7 p.m. to 8:30 p.m. at the Clinton Police Station Community Room 101 located at 170 East Main Street in Clinton, Connecticut. For more information, please contact Kristin Cafferty at KLCafferty@sbcglobal.net or 860-227-6378. The Special Dads Group is a group for dads of children with special needs in Fairfield county and surrounding areas. The group meets on the second Monday of the month at 7:30 p.m. at Pizza Post Restaurant located at 522 East Putnam Avenue in Greenwich, Connecticut. For more information contact Michael Beloff at michael@beloff.org or visit the website, http://groups.yahoo.com/ group/specialdads/. Southeastern CT SEPTA is a PTA for parents of children with special needs as well as special education staff. It functions like a regular PTA with the focus on students who are receiving support through an Individualized Education Program (IEP) or Section 504 Plan. For more information about meeting times, dates and locations, contact Maureen Shea at moshea867@ct.metrocast.net. CT Partners in Policy Making is sponsors a support group for Spanish-speaking parents of children with disabilities to learn about special education and advocacy, share concerns and ideas and learn about resources available to help. The group is facilitated by Mio Galarza, Facilitator, Social-Community Psychologist and advocate. For more information contact Mio at 203-778-1555 or miozotisg22@yahoo.com. St. Vincent’s Developmental Services provides children and teen social skills groups, sibling groups, parent support groups and parent workshops. In addition, the Center’s multi-disciplinary team offers diagnostic testing and evaluation, clinical counseling, community resource coordination and educational support. Insurance accepted for clinical and evaluation services: Aetna, Anthem BCBS, Cigna, Coventry First, MHN, multi-plan, Oxford, United Behavioral Health and POMCO. For a complete schedule of meetings and more information about the programs please contact Annemarie Callagy, LCSW, 203.341.4501 or acallagy@stvincents.org, or visit www. stvincentsbehavioralhealth.org . This group, sponsored by the Autism Services and Resources Connecticut (ASRC), is intended for adults with Aspergers Syndrome, High Functioning Autism or PPD who are 15 years of age or older. Participants do not need a formal diagnosis. Meetings are held on the second Friday of every month, from 6 p.m. to 8:30 p.m. at ASRC located at 101 North Plains Industrial Road in Wallingford. The group also has several social activities, such as hiking, board games and DVD nights each month. Dave Tipping, an adult with Aspergers, facilitates this group. For more information, please contact Dave Tipping at 203 484-2937 or nz1j@juno.com. Natchuag Hospital facilitates support groups for children with PPD, their parents and siblings to provide support and education to parents and families raising children with PPD-NOS. The group will connect parents with similar concerns, help families understand the needs of children with PPD, develop strategies to parent and education children with PDD, support family members who live with a child with PPD and support the children identified with having PDD. The group meets from 5:30 p.m. to 6:30 p.m. on September 18th, October 16th , November 20th, December 18th, January 15th and February 12th at Natchaug Hospital located at 189 Storrs Road in Mansfield, Connecticut. For more information or to register, contact Stan Hospod at 860-886-4850 x323 or stanley.hospod@hhchealth.org or Carleigh Hannah at 860-886-4850 x319. A support group for parents of children with Down Syndrome is held on Fridays from 11:30 a.m. to 1:30 p.m. at the Brookfield YMCA. Attendees do not need to be members of the YMCA to attend. The group provides an opportunity for children to play and for parents to talk. Siblings are also welcome to attend. To participate in a meeting, please contact Jen Netter at 631-804-5806. This support group is for parents of children who struggle with behavioral challenges, frustration, and inflexibility. The group meets during the school year from 6:30 p.m. to 8 p.m. on the third Wednesday of the month at the Killingworth Library located at 301 Route 81 in Killingly. The group is led by a former teacher skilled in the Collaborative Problem Solving Model articulated in the book The Explosive Child by Dr. Ross Greene. All who could benefit from the support and encouragement of others experiencing similar challenges are welcome. For more information, call Divinna at 860-876-0236. SWAN Parenting Programs offer a monthly support group for parents who have children with ADHD. This facilitated group offers a non-judgmental place for parents and other caregivers to share the joys and challenges of raining a child with ADHD. They meet on the last Thursday of each month from 6:30 p.m. to 8 p.m. in the Charles Enes Community Center in South Windsor, Connecticut. Registration is not necessary and all parents are welcome. For more information please call Parenting Educator, Ginny Molleur at 860-648-6361 ext. 314. Tolland Family Resource Center PCS Group (Parents of Children with Special Needs) offers meetings bi-monthly on various topics for parents. For more information and dates of meetings contact Laurel Leibowitz at 860-870-6750, ext 5. West Haven SEPTA is a Special Education Parent Teacher Association. SEPTA brings together people who are interested in special education and children with special needs and promotes an understanding of special education and strives to enrich the lives of children with special needs. West Haven SEPTA is open anyone in West Haven or surrounding Connecticut towns including (but not limited to) New Haven, Orange, Milford, Derby, Ansonia, and Woodbridge. West Haven SEPTA meets the fourth Tuesday of each month with a couple exceptions due to holidays. The meetings take place at 6:30 p.m. in the Library of Seth G. Haley School located at 148 South Street in West Haven, Connecticut. For more information on meeting dates and workshops, or any other questions please contact Kelly Nealy, West Haven SEPTA President, at whseptaproject@att.net or visit the SEPTA website at www.westhavensepta.wordpress.com. 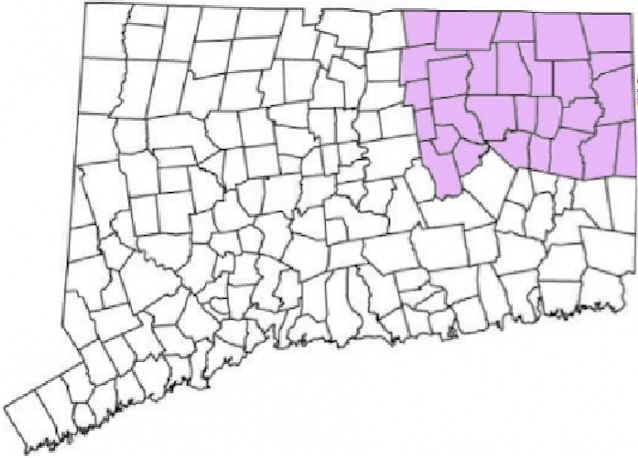 *OPM has recently approved the merger of the CT River Estuary and Midstate planning regions to form the Lower Connecticut River Valley Planning Region. Andover, Avon, Berlin, Bloomfield, Bolton, Bristol, Burlington, Canton, East Granby, East Hartford, East Windsor, Ellington, Enfield, Farmington, Glastonbury, Granby, Hartford, Hebron, Kensington, Manchester, Marlborough, New Britain, Newington, Plainville, Plymouth, Rocky Hill, Simsbury, Somers, South Windsor, Southington, Stafford, Suffield, Tolland, Vernon, West Hartford, Wethersfield, Windsor, Windsor Locks. The dissolution of county governments in 1960 created a vacuum of power at the regional level, which created problems when it came to land use and infrastructure planning. Because the power once reserved for county governments was now in the hands of municipal administrations, major land use, environmental, and infrastructure issues often pitted one town against another, resulting in little or no progress. Complicating this, the state constitution delegates a large portion of the state's authority to the towns. That means a major multi-town project could be completely derailed if only one of the affected towns opposes the project, since the project would require each affected town to issue its own permits for the portions within its territory. This has often led to long and costly lawsuits between towns that support a regional-scale project and those opposed. Unlike county governments, the authority of regional councils is limited to land use policymaking, infrastructure development, emergency preparedness, and long-term planning for population and economic changes for the communities within their respective jurisdiction. The regional councils have no taxing authority; they are financed by funds from the state and member towns. Regional councils also have some limited law enforcement authority. 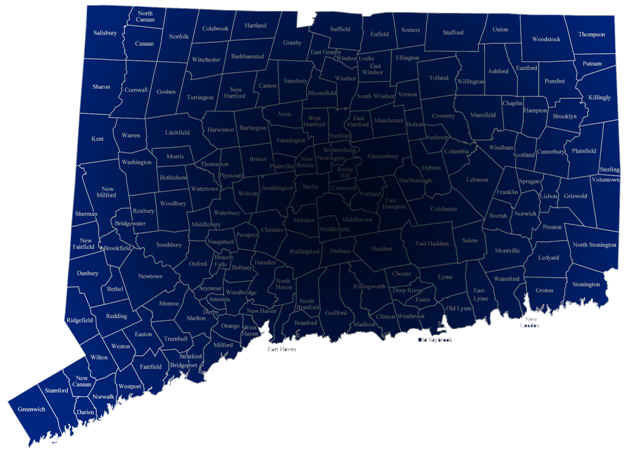 If approved by the regional council, member towns can put forth a portion of their law enforcement resources to create regional task forces to combat organized crime and drug trafficking. 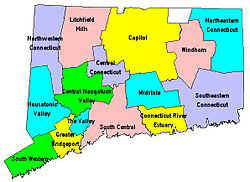 With assistance from the Connecticut State Police and FBI, several regions have established such task forces. The Northern Connecticut Gang Task Force, Bridgeport Violent Crimes Task Force, and New Haven Safe Streets Gang Task Force are such examples. 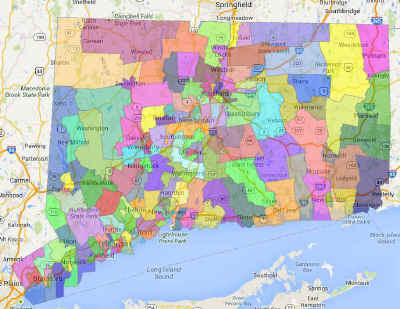 Connecticut’s planning regions provide a geographic framework within which municipalities can jointly address common interests, and coordinate such interests with state plans and programs. 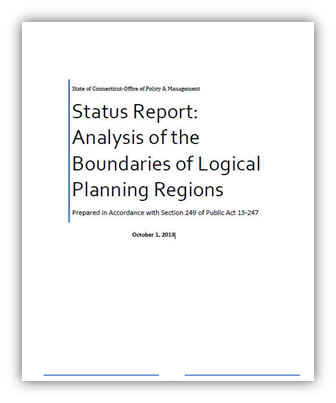 State statutes authorize the secretary of the Office of Policy and Management (OPM) to designate or redesignate the boundaries of logical planning regions. The member municipalities of each planning region are authorized under state statutes to establish a formal governance structure. 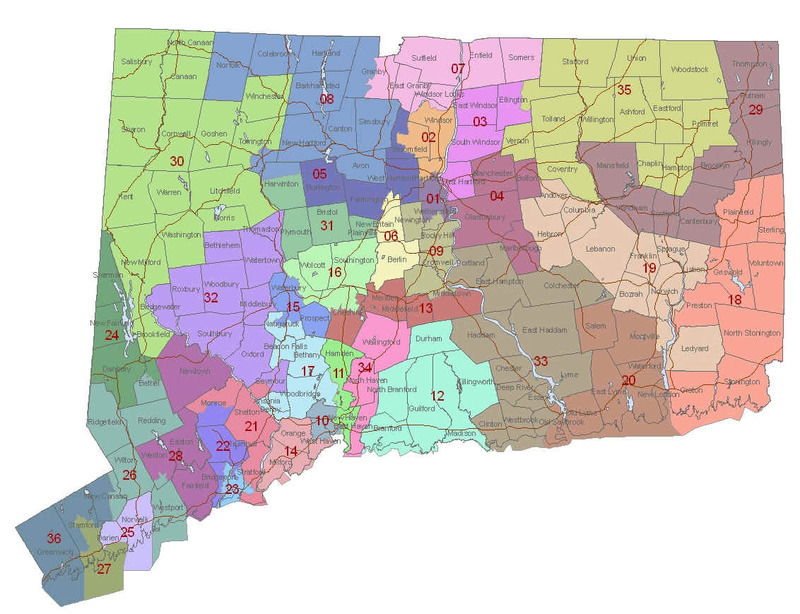 Section 16a-4c of the Connecticut General Statutes (CGS), as amended by Section 249 of Public Act 13-247, requires OPM to conduct an analysis of the boundaries of logical planning regions by January 1, 2014, and at least every twenty years thereafter. A provision of the statute allows any two or more contiguous planning regions that agree to voluntarily consolidate and begin the process of forming a single council of governments to be exempt from OPM’s analysis, provided the secretary formally redesignates the consolidated region prior to January 1, 2014. OPM has conducted outreach to each regional planning organization (RPO) and consulted with all of the entities prescribed by statute. Upon completion of OPM’s analysis, the secretary must notify the chief executive officer (CEO) of each municipality located in a planning region in which the boundaries are proposed for redesignation. Within thirty days of such notice, the CEO of the municipality may appeal the proposed redesignation by petitioning the secretary to attend a meeting of the legislative body, in order to provide an opportunity for the legislative body to inform the secretary of its objections. Every effort must be made to schedule such meetings within sixty days of the petition, but in no event shall any meeting take place later than two hundred ten days after the secretary’s original notice. Within sixty days after the meeting, the secretary shall notify the CEO of OPM’s determination concerning the proposed redesignation. The boundaries of planning regions resulting from OPM’s analysis and subsequent municipal appeals process shall be effective January 1, 2015. 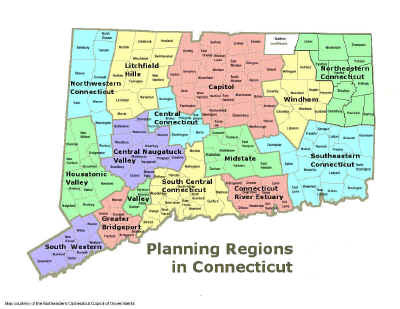 In the late 1950s, Connecticut did away with its eight counties, but created a regional planning framework with 15 planning regions. It turns out that eight may have been the magic number. There's been a growing consensus in recent years that 15 planning regions were too many in a state the size of Connecticut. (California has 17.) 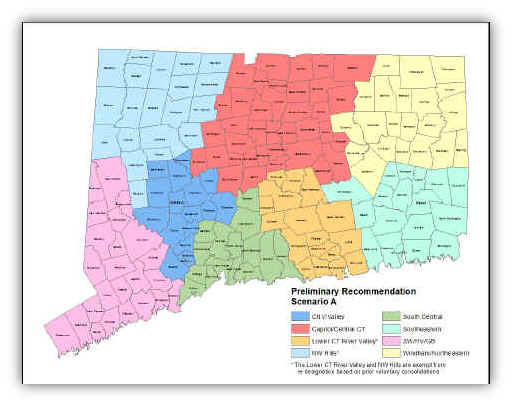 New laws required the state's Office of Policy and Management to conduct an analysis of the boundaries of the planning regions toward the goal of creating more logical and efficient regions, to go into effect on Jan.1. After considering such things as commuting patterns, census data, watersheds and commercial density, the agency released its status report on Oct. 1, and lo and behold, it recommends the state have eight planning regions. It's actually too early to tell whether the new regions will come close to replicating the old counties. A provision of the law allows contiguous regions to consolidate voluntarily, and to be exempt from the OPM remapping. One such consolidation is complete and another is almost complete, bringing the number of regions down to 13. One or two more might be in the works. In addition, all the regions will become regional councils of government. At present, some are, and some are not. The planning regions are a footprint in which towns can jointly address common issues and interests. 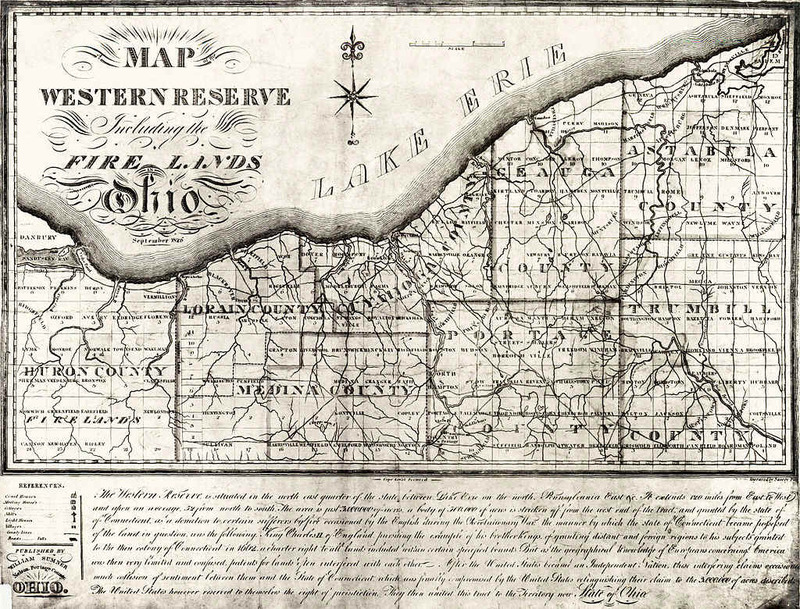 The regional planners have traditionally worked in such areas as land use, transportation and economic planning. Some regions have been more successful than others. The hope is that with fewer regions and more resources, which the state is providing, the regions will be able to ramp up such things as shared services and other forms of regional cooperation. What this change does not do is create common service delivery areas for state agencies. At present there are hundreds of different service regions for different agencies and services. Officials feel that untangling these will take time, and want to start with more logical planning regions. It's a meaningful first step, to be sure. Region efficiency provides an opportunity to bring down the cost of government and make the state more competitive. We don't necessarily need the old counties; we do need their modern equivalent. A growing number of land-use issues transcend political and jurisdictional boundaries. These issues are most effectively addressed at a regional scale, somewhere between local, state, and national levels. During the past few years, people from many walks of life have experimented with a variety of regional approaches to land-use issues. While some of these initiatives augment existing government institutions, others are more ad hoc in nature. Whether formal or ad hoc, regional initiatives involve people with diverse interests and viewpoints in collaborative forums—public spaces that would not otherwise exist to solve common problems. Although there is no single model or approach to regional collaboration, several principles have emerged to help people think and act regionally. These principles should be adapted to the unique circumstances of each place or region. Far from being mutually exclusive, these different objectives reinforce one another, and suggest a natural progression from knowledge- and community-building to advocacy and governance. To begin a regional initiative, focus on things that people are predisposed to do. To be effective, regional initiatives must engage the right people and build a constituency for change. If your objective is to advocate for a particular interest or outcome, that will require a different group of people than if you are trying to resolve a multi-party dispute or address a multi-jurisdictional issue. In the latter cases, you should seek to be as inclusive as possible—engaging people who are interested in and affected by the issue; those needed to implement any potential recommendation (i.e., those with authority); and those who might undermine the process or the outcome if not included. Think carefully about the roles and responsibilities of existing jurisdictions and agencies, and keep in mind that there may be people outside the region who need or want to be involved. How people define a region naturally flows from their interests and concerns. Regions are most often defined in one of two ways—one rooted in a sense of place, the other based on a certain function or the “territory of the problem.” Natural ecological boundaries—such as watersheds, ecosystems, wildlife habitat, and so on—can help inform the appropriate definition of a region, but in the final analysis, the region must engage the hearts and minds of people, and appeal to their shared interests. The precise boundaries of a region are often less important than clarifying the core area of interest. Boundaries can be soft and flexible, adaptable to changing needs and interests. In sum, the region needs to be large enough to capture the problem, and small enough to get traction. To collaborate on a regional scale, people need to be able to jump start the process, and also sustain it over time. The capacity to initiate and sustain regional collaboration hinges on four types of essential resources: leadership, a constituency for change, organization, and technical information. Leadership comes in many forms. Some leaders are catalysts, others may be visionaries, some are good at motivating and empowering people, and some are conductors—assembling people and resources into a well-orchestrated team. The team itself is the people who are willing to speak up and work for change. It is important to find people who will consider other perspectives and negotiate in good faith toward mutually satisfying ways of addressing the issue at hand. It’s also essential to engage people who have good organizational skills—the ability to manage mailing lists, phone trees, planning materials, and budgets. Finally, most efforts to resolve regional issues rely on mountains of varied technical information. To be credible, it helps to gather and interpret this information as a group, through joint fact finding or a similar process. In some cases, these resources must be developed from the ground up, from scratch. • Where can we find additional resources? • Who can help identify sources of funds and assistance? • How can available resources be used to stimulate more interest in the project? People facing a regional problem or issue usually want to roll up their sleeves and get right to work. But it’s well worth taking a little time up front to jointly articulate desired outcomes and map out practical strategies to achieve those outcomes. Such a strategy of action is built around a shared vision for change. People negotiate among their desired outcomes until they have a package that everyone can agree on. Then they negotiate options for how to make those outcomes happen. Every regional enterprise is unique, varying according to site-specific conditions, the nature of the issue, and the needs and interests of the people affected by the issue. Consequently, the most effective strategies of action are homegrown—they are developed by and for the people concerned about a particular region. Developing such a strategy is an important step—it ensures that people are working toward a clearly stated and agreed upon goal, and it spells out specific steps and tools for reaching that goal. A well-drafted strategy also allows people to assess their progress against the stated goals, adapt methods as needed, and document success. The objective at this point is to strategically translate civic will into political will. Participants can start by understanding how the proposed regional action supplements other relevant efforts. Then, they need to communicate their message to appropriate audiences, making it relevant and compelling. They need to demonstrate to political leaders and other decision-makers that the political capital to be gained is greater than any political risk they may take in supporting the action. Outreach should rely on multiple strategies to inform, educate, and mobilize people (such as media, public events, publications, web sites). Participants should also think carefully about linking their effort to established decision-making systems. Seek access to power—rather than power itself—by building bridges, coordinating actions, and doing things that would not otherwise get done. Taking action should be followed by evaluating what was accomplished. This “civiclearning” provides the political momentum to follow-through on difficult problems. In some cases, there may be a need to sustain regional collaboration. Participants should begin by capturing, sharing, and celebrating their accomplishments, thereby reinforcing a sense of regional identity. Then, it may be valuable to revise and renew the mission, adapting to new information, opportunities, and problems. Participants will also need to identify and develop the capacities to sustain the regional initiative—people (both current and new members), resources (money and information), and organizational structure. After a region has come together, crafted a vision, and taken action, it is often faced with the question of whether there is a need to sustain the regional initiative. If the answer is yes, a region may decide to maintain a simple network to facilitate communication and exchange information. In other situations, it may make sense to create a more formal partnership by negotiating some type of compact or otherwise integrating regional efforts into existing institutions. Another option is to create a new organization –either a new regional agency with governing or regulatory power, or a non-government entity that can serve as a convener and coordinator for future regional work. The more formal the governing arrangement, the more likely a region must address questions about who should be involved in the regional agency; what is the scope and purpose; and how will decisions be made and disputes resolved. Given the variation in the objectives of regional initiatives, it is not surprising that several different governance models have emerged. The bottom line is that the governance structure must be “homegrown,” it must designed to meet the needs and interests of people within the region.